As an author with another novel almost ready to be released, I thought I’d like to feature a book that I read recently on the subject. Unfortunately, I am not starting to prepare for my launch twelve months ahead, which is where the book starts giving helpful suggestions, but there is still a lot in this book that I find very useful. Let me pass you over to the author, Keely Brooke Keith, to tell you all about her book. Book marketing and promoting can be intimidating for authors. Since the day I (Keely Brooke Keith) signed my first publishing contract, I’ve kept a list of book promoting ideas. With each book launch, I try them and add to them for my next launch. I have both traditionally published friends and indie friends who’ve asked for my list (and a couple of publishers too). So, I created The Writer’s Book Launch Journal and spread the to-do lists over 12-months to turn it into an easy to follow plan for any author. Many of my author friends love this journal, as even some big publishers rarely give a book’s publicity more than a couple hours of an intern’s time these days. And since some authors want the information in The Writer’s Book Launch Journal but prefer to scroll through the checklists on their computer, I’ve also written the ebook The Writer’s Book Launch Guide: A Step-By-Step Plan to Give Your Book the Best Launch Possible. This ebook is a good companion to The Writer’s Book Launch Journal because the tasks are explained in more depth. I recommend getting both the journal and the ebook together. I thought this was a very well presented and well researched publication, with loads of useful information and suggestions. It might have been nice to have a little more ‘how to’ help for some of the suggestions, but it would probably not be difficult to find that elsewhere online. I haven’t as yet purchased the Writer’s Book Launch Journal, but I certainly plan to, having read the book. Altogether, I found this a very useful addition to my writer’s resources library, and I shall try to implement as many of the suggestions as I can in the time left before the launch of my next novel. You can learn more about Keely and her resources for writers here on her website. And look out for her next novel, Foe What it’s Worth, coming shortly. One definition of ‘addiction’ is ‘the condition of being habitually or compulsively occupied with or involved in something’ and this definition brings one of life’s pleasures to mind: shopping. I don’t think I’m actually addicted to shopping, but I do believe I could easily become addicted, given the chance. Living in the country, miles from any shops, is a help or a hindrance depending on your point of view. I think it’s a help, but if someone wants to throw some spare cash my way, I’m willing to test the theory. What is decidedly not helpful to a shopping addict is the advent of internet shopping. A while back, when I was driving north with He Who Prefers Not To Be Named, I noticed an enormous, huge, ginormous Amazon warehouse had been built within ten miles of our home, ‘Just for us,’ we agreed. We are both seriously addicted to buying books on Amazon. It is just too easy. However, I have curbed my need for the services of the said warehouse: most of my Amazon purchases now are eBooks. Research shows that many people buy things they don’t need, some buy things they don’t even want and most of these folks are a bit concerned about their shopping habits, some admitting they are ‘addicted’ to shopping. In the developed world, merchandisers play to this addiction. Millions of Pounds, Dollars, Euros and Yen are spent every year on advertising. They wouldn’t do it if it didn’t work. No wonder many shopping addicts are concerned about their shopping habit. They may well have come to the same conclusion – that it is just not bringing them satisfaction. But how to cure the addiction? Often professional help is needed. Identifying the underlying problem is necessary. Having a supportive friend or relative is helpful. Several things inspired me to write my novel, ‘Making It Home’. Being just a teeny bit addicted to shopping was one. The thing is, I can live fine without it until I’m there, in the shopping mall or on the High Street, then I feel as though I’ve failed some test or other if I go home empty-handed. And I know I sometimes fall into the category of buying things I like but I don’t actually need. I mean, do I really need yet another ‘wee top’? What is it about shopping that gets me? My addiction is under control now, though it was never a serious problem. In my case, it wasn’t need or loneliness, but it was dissatisfaction with my looks and my figure. I had lost my sense of identity while raising our children and hadn’t found it again yet. I was constantly looking for that perfect dress, the one that would make me look tall and slim, those perfect jeans that would not only be comfortable but would make me look young and vital, that special wee top that would make me feel young and pretty again. In analysing that, I got caught up in the idea of writing a story about someone who – unlike me, I hasten to add – just couldn’t stop buying things even when the money had well and truly run out. I thought it would be interesting to explore what her underlying problems could be and help her find some help to deal with them. The discovery of a deceased relative’s secret addiction to shopping was another inspiration, albeit a sad one. Who knew Auntie J was filling her home with purchases she had no use for, filling cupboards and rooms with unopened carrier bags, receipts dating years back still inside them with the items she’d bought: the overwhelming sadness of her loneliness clearly unabated by hundreds of shopping trips? Who knew? Childless and widowed years before, she lived far from extended family and had few friends, mostly by choice, being a very private person. Reluctant to visit or be visited, her secret was only discovered when her home had to be cleared for sale after her funeral. I used my overwhelming sadness to tell a little of Auntie J’s story in my novel, Making it Home, allowing a fictional character to carry her secret and share her loneliness. I like to think she might have enjoyed the alternative ending. Phyllis had a home – and her heart was in it – but she wanted something more. So she shopped. They found one another in a department store in Edinburgh. The trouble with ‘retail therapy’ is, you can overdose. As friendship grows between these three women, they help one another face up to their problems, realising along the way, every heart needs a home and it takes more than a house to make one. What about you? How do you feel about shopping: love it or hate it? Do you know what compels you to shop, or is it something you have to force yourself to do when you need a particular item? Please share your shopping thoughts and stories, good or bad, in the comments. I’d love to read them. It was fun to see myself on someone else’s blog! Thank you Liza Shaw for giving me this opportunity to let your readers get to know me a little. Today I’m very lucky to interview Christine Campbell, author of Searching for Summer and four other novels. Hi Christine, thank you for agreeing to this interview. Tell us a little about yourself and your background? Thank you, Liza, it’s very kind of you to ask. Perhaps the first thing you should know about me is that, although I live near Edinburgh, the capital city of Scotland, in my imagination, I live somewhere much warmer, where I can still run up hills and swim in the freshwater pools under waterfalls, and I am 26 years old. I know, I know, my oldest child is well into his forties, and I have ten grandchildren, but, in my heart, I’m 26 years old. I don’t intend getting any older, no matter what age I look, no matter the walking frame, the poor hearing, the poor eyesight, the poor health. I am rich in so many other ways. At a cuddly 4’11’, I’m also tall, slim and beautiful. 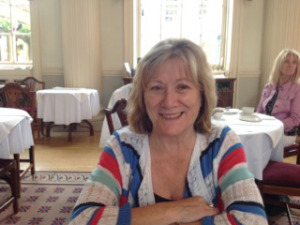 Read the rest of this interview via Meet The Author – Christine Campbell | Reading Head. If you know me at all, you’ll know I love to chat. Today it’s not about me chatting, it’s about the beautiful trailer for my latest novel, Searching for Summer. I’ll let it speak for itself. Usually, I try not to make WriteWhereYouAre all about me, by reblogging interesting articles from others’ blogs, or writing about things other than my books. Occasionally I share one of my poems or a poem or short story someone else has written. All in an attempt to interest and entertain you. As part of the promotion of my new novel, Searching for Summer, I have the privilege of writing some guest posts for other bloggers, being interviewed by some others, and having my book reviewed by yet others, so please bear with me over the next few weeks as I share these various posts here on my own blog. I shall try to intersperse these promotional posts with posts about other things and other people, but I am kinda hoping you’ll forgive me for being a wee bittie excited about my new book and wanting to talk about it more than a wee bittie! Author and blogger, Anna Stenhouse, invited me to write a piece for her blog, Novels Now. Her theme for guest pieces is ‘Fascinating I am,’ and she invited me to share five fascinating facts about myself. Well, I wrinkled my brow, scratched my head, and hummed and hawed, and came up with five facts about myself. Whether they fascinate is another matter, which I shall leave up to your judgement. I hope you at least find them interesting. Christine Campbell, novelist, Women’s Contemporary fiction is the first Fascinating I Am subject of 2015. welcome to Novels Now, Christine. First of all, I have to say, “What a heading to live up to!” I doubt if ‘fascinating’ is an adjective often used of me — but I like it! I don’t have a favourite colour, book, song, child or grandchild. Just as I love different colours for different reasons because they are all different, so it is with books, songs, my children, and my grandchildren. I think it is amazing how love stretches and deepens. When stretched, it doesn’t get thinner so it can go further. It just grows and makes it possible to love more.